Sciatica, stenosis and scoliosis are among the most common conditions treated by Chiropractors. They can all be present simultaneously or by themselves. Sciatica or pain going down one or both legs has several etiologies all of which usually respond to chiropractic care. Chiropractic subluxation or misalignment's in the pelvis or spine can irritate the nerve roots exiting the spine. Disc bulging or protrusions can impinge on the spinal nerves either in the spinal canal or at the foramen where the nerve exits the spine. Spinal Stenosis, foraminal stenosis may give direct irritation to the nerves in either the spinal canal or in the foramen. This may be caused from spurring as mentioned, subluxation, bulging, herniation or from birth,hereditary. Scoliosis is an abnormal curvature of the spine to the body right or left. These curves can be brought on by a short leg, trauma, muscular imbalance but are usually considered idiopathic or unknown cause most likely heredity. Abnormal curvatures create excessive stress to the spine which will eventually create any of the above mentioned issues. Spasm of the buttock muscles, most often the piriformis which goes from the hip to the sacrum can give sciatic pain either by compression of the nerve directly or by noxious trigger points (knots in the muscle that are tender) which can give a myogenic pain referral that symptomatically goes to the leg like a 'nerve pain'. This is perhaps the most common form of sciatica which is also the easiest to resolve. We call it myofascial pain. Temporary use of NSAIDs like Tylenol or Ibuprofen may give relief when the symptoms are mild due to strain. If symptoms persist or get worse after a few days or are severe move to the next therapy. Chiropractic care for correcting or improvement of spinal alignment can often give immediate improvement. Usually it takes 3-10 office visits to complete for simple sciatica. Chronic cases or those with stenosis and or scoliosis may take months to resolve. Chiropractic gets good results greater than 80% of the time. Acupuncture or meridian therapy works greater than 70% of the time, even when chiropractic didn't. Applied Kinesiology works by balancing muscles by stimulating specific points on the body which include neurolymphatic, neurovascular, ileoocecal valve, Houston's valve, hiatal hernia reflexes and nutritional modification. Physical Therapy or exercise therapy is given in our office with all of the above. Underlying weak muscles (abdominals) or tight muscles (hamstrings, gluteals, erector spinae). Massage, electric stimulation, ultrasound, traction, decompression traction, diathermy, heat or ice are used to reduce inflammation and spasm while improving blood flow (nutrition to the cells) and sedating the nerve. Asyra Bioenergetics combines acupuncture meridian balancing with Homeopathy and Allergy desensitisation. We have had positive results with Asyra where all else has failed. Steroids and Pain Medications or injections. These can be combined with the above. Regular use may have a lot of unwanted side effects. As you can see there are many causes and treatments available. If you have sciatica, stenosis, and/or scoliosis please come in for an evaluation. There are many safe options available that work extremely well, are cost effective, natural, and pain free. 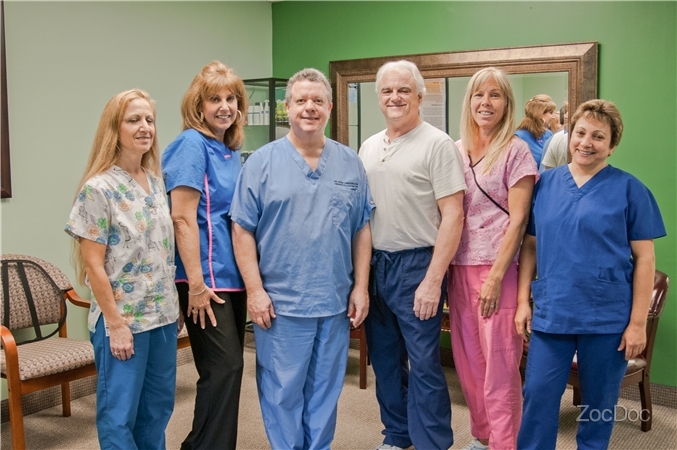 Dr. Russ Tannenbaum, D.C. is located in Margate, Florida in the Northwest Medical Center Plaza near the intersection of Coral Springs, Coconut Creek and Margate, off 441 just south of Sample Rd. Please call (954) 968-8400 for an appointment. Pain relief is just around the corner!